Orienteering USA eNewsletter - allow images to see photos & graphics. 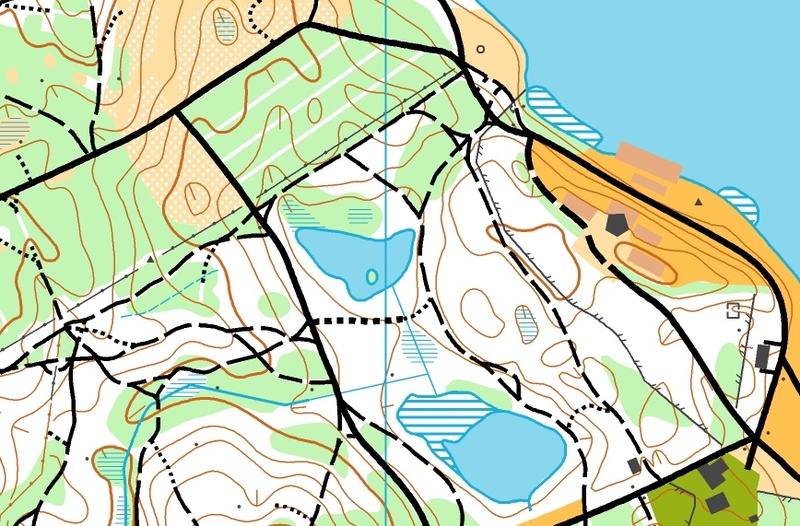 After a very busy March and April, May is a bit of a transition month for orienteering. Of course we just came off the venerable West Point A-meet and still have plenty of local meets to attend. Team USA is getting ready for the World Championships, and clubs like Orienteering Louisville are starting up Tuesday evening sprint series that go through the summer. The Annual General Meeting of the United States Orienteering Federation (Orienteering USA) will be held from 4:00 pm â€“ 6:00 pm, Friday, June 26th, in the atrium of the Riverstone School in Boise, ID. Check in begins at 3:30 pm. Following the meeting the Silva, Presidentâ€™s and Golden Compass awards will be presented to our volunteer community. Recently, many of you may heard that long time orienteer and CSU member Peter Gagarin established a fundraiser for our Juniors. His participation in, and finishing of, the 2015 Boston Marathon raised over $22,000 for our Junior Development Program. We thank Peter for his creativity and generosity. The money raised will be used to fund continued development of the Junior Program nationwide. Clubs interested in expanding their Junior Programs with this money should contact Glen Schorr, Erin Schirm or Peter Goodwin. Moving forward, Junior Team Head Coach Erin Schirm has developed a series of fundraisers including a control challenge. The purpose of these fundraisers is to support our Junior National Team as they compete in the 2015 JWOC in Norway plus training in Europe. Contact Erin for more information. Of course you can always make an unrestricted or restricted gift to OUSA any time by going to www.orienteeringusa.org and clicking on â€œSupport Orienteeringâ€. We thank you for your support. Itâ€™s that time of year - time to nominate worthy volunteers for the Golden Service (formerly Golden Troll) awards. Award nominees are due by May 29 to Clare Durand. Clare has copies of the award criteria but, in brief, they are for: Service as a volunteer with service extending beyond the club level such as serving on national board or committees, holding key positions at A-meets, putting on training camps or events that serve a regional or national base, etc. Icebug USA would like to announce the following special offer exclusively for OUSA members. 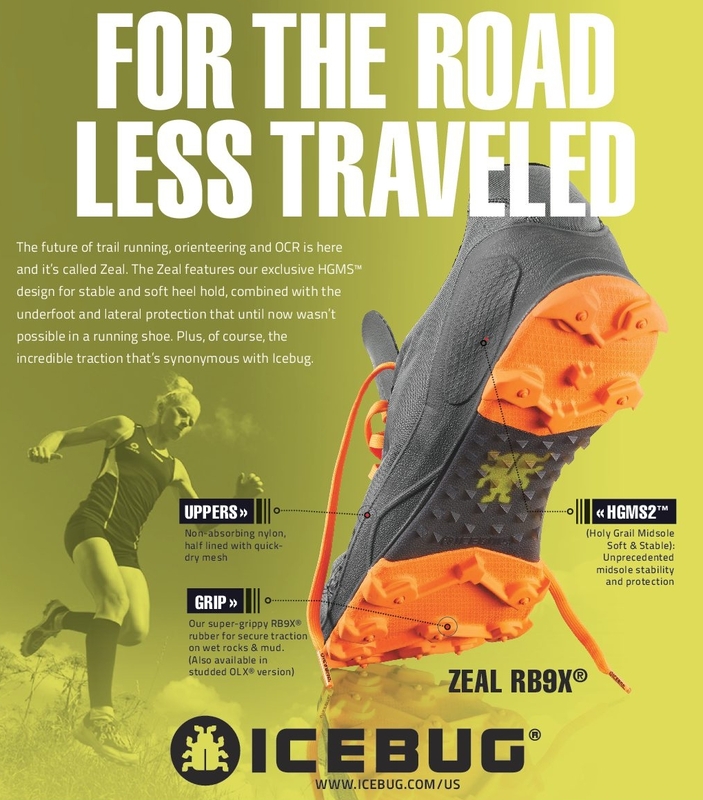 Save 10% on all orders placed through www.icebug.com/us using code OUSA15. In addition to your savings, you will receive the famous Swedish beer â€œsweaterâ€ with every order. This offer is good only through the Icebug online store. Limit 2 pair of shoes per customer. The offer is good from July 31, 2015 through December 31, 2015 so you will have to wait to get this deal. This year, clubs can apply for grant money from OUSAâ€¦not just for maps. To learn more and apply, contact OUSA's Greg Lennon. Get your clubâ€™s first mountain bike orienteering map (MTBO) map made with help from Orienteering USA! If youâ€™ve got a terrain that you feel might be suitable for MTBO events hosted by your club, weâ€™ll look into it and then work out how to get it mapped swiftly at low or no cost. Contact OUSA's Greg Lennon for more details. The schedule is starting to fill up for the 2016 A-meet and national championships calendar. To learn more contact Peter or Glen. For the third year in a row, OUSA clubs will be hosting an Olympic Day event. Note: * = OUSA Board of Directors Meetings. All are welcome. Discover Orienteering. Discover the Original Adventure Race. Copyright Â© 2015 Orienteering USA, All rights reserved. Unsubscribing from all OUSA lists also unsubscribes you from future issues of O/NA Digital. Click 'update OUSA subscription preferences' to set your preferences individually.